In recent years, governments at the federal, state and local levels have adopted open data initiatives to increase transparency to citizens, spur innovation and economic opportunity, and demonstrate the effectiveness of state policies and programs. 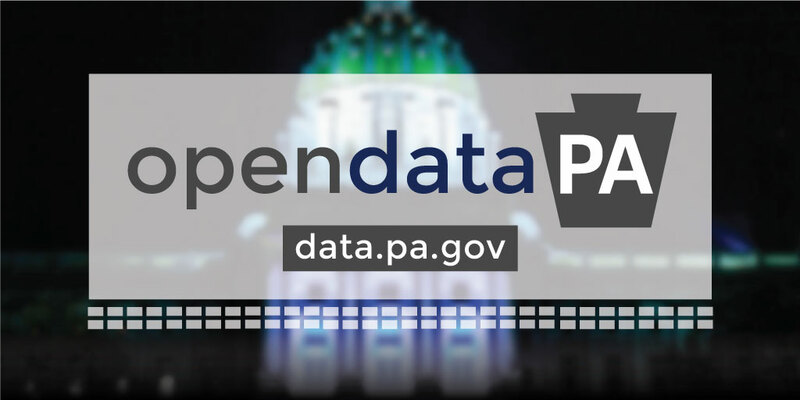 This is why on April 19, 2016, Governor Wolf signed an executive order to release agency data to the public in an open, accessible format, and today, his administration launched OpenDataPA, Pennsylvania’s first open data portal. Read these frequently asked questions to learn more about open data generally and OpenDataPA. Open data refers to data in a format that can be understood by a computer and used freely by anyone, free of any constraints. Availability and Access: the data must be available as a whole in a convenient and modifiable form. Universal Participation: everyone must be able to use, reuse, and redistribute the data—free of restrictions. What is the value open data? Open data, especially open government data, is a tremendous resource that is as yet largely untapped. OpenDataPA brings more transparency, accountability, modernization, and innovation to Pennsylvania government by making government data open and centralized. Does published data include sensitive information? The executive order requires agencies protect sensitive information. Personally Identifiable Information (PII) will not be published on datasets hosted on OpenDataPA. Our goal is to make data available in order to measure government performance, engage citizens, create economic opportunities, and develop innovative policy solutions. OpenDataPA strives to be a source of innovation for citizens, entrepreneurs, civic developers, researchers, and policy makers who can manipulate the data we will be releasing to discover economic opportunities, create government applications, and make data-driven decisions. Where can I learn how to use OpenDataPA? At first, navigating through large amounts of data may be overwhelming. That is why OpenDataPA has tutorials available to get anyone quickly started. These short tutorials will provide helpful tips on how to alter the way data is presented, filter information, and swiftly create charts. How can I learn more about a dataset? On the dataset of interest, click on the About link in upper righthand corner. The About tab has the agency name, description of the dataset, supporting documentation, a contact for the dataset owner, and information about how frequently the dataset will be updated. How do I ask a question or suggest a dataset? The Commonwealth welcomes feedback on OpenDataPA. This is a living portal that will grow and evolve over time, and citizen feedback is extremely helpful for our continuous improvement. We value your ideas and strive to meet citizen demand for government data. To suggest a dataset that is not currently hosted on OpenDataPA, please submit a Suggest a Dataset form. Requests will be reviewed, discussed with the appropriate agency data coordinator, and evaluated as part of the publication prioritization process. If you have questions or comments about a specific dataset, please reach out to the Dataset Owner directly. Each Agency at the Commonwealth is responsible for publishing datasets, and as such they are the official subject matter experts on the content of their data. On the dataset of interest, click on About and scroll to the bottom of the metadata pane to “Contact Dataset Owner”. Fill out the form with a brief description of your question or comment. If you have general questions about the OpenDataPA initiative, please contact us at: RA-OAODDTODGENERAL@PA.GOV.